– EQ360 multi-rater client report. View here sample report. – Discover the difference between your own perception of yourself and how people in your surroundings see you? – Obtain a complete 360-degree view of your Emotional Intelligence? 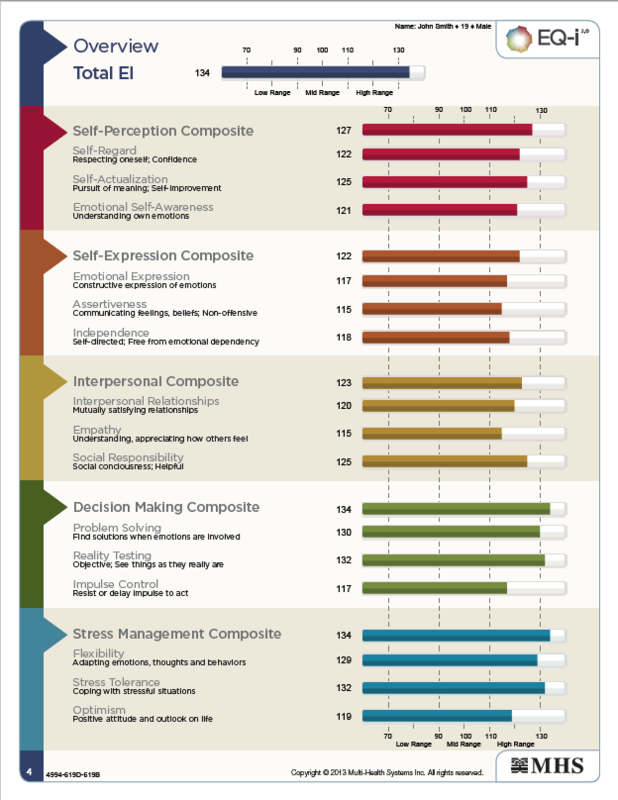 EQ360 (Emotional Quotient Multi-Rater Assessment) will give you the answers to all these questions! EQ360 multi-rater assessment is the combination of EQ-i2.0 self-assessment with the perception of people around you. EQ360 is the first scientifically validated tool that is based on over 20 years of research. It was developed by psychologist Reuven Bar-On and is distributed by MHS. It currently represents one of the most popular EI assessments in the domain. Over 1 million people across 66 countries have already participated. What does the EQ360 Inventory consist of? 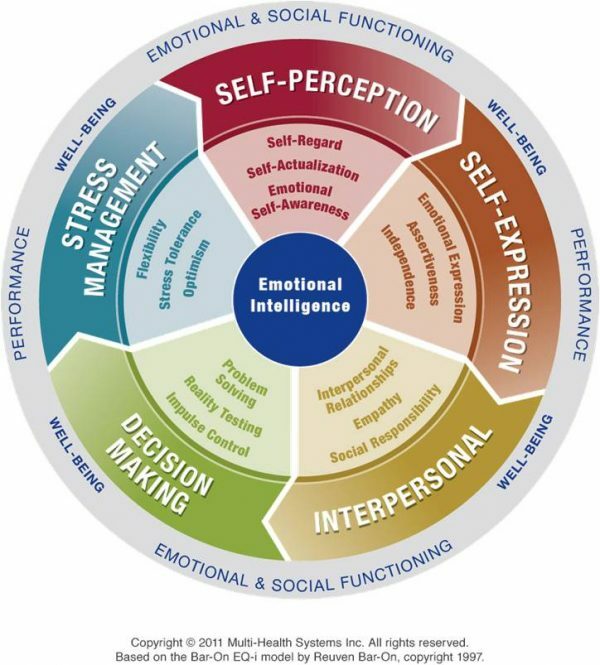 EQ360Like the EQ-i2.0 self-assessment, the EQ360 consists of same 5 general areas of emotional skills that are broken down into 15 specific sub scales; however, as well as this, it provides feedback from leaders, direct reports, peers, friends and family.